Maker’s Mark, the premium handcrafted American whisky, is working with agency White Label to launch its 2018 UK bartender engagement programme, The Makers. The programme kicked off on 6th of August in London and will roll out across London, Edinburgh, Manchester and Bristol. 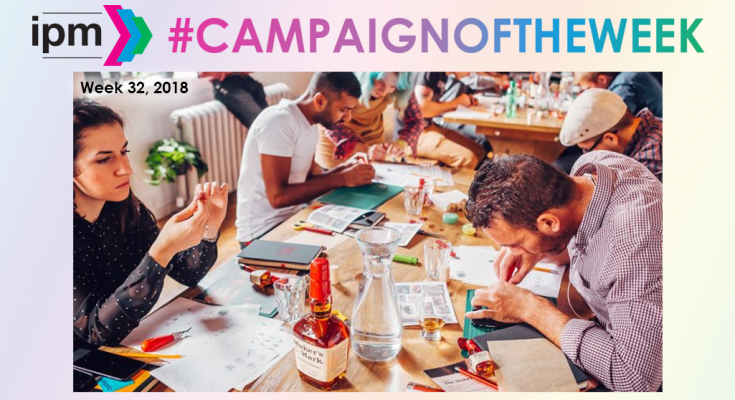 Following the success of last year’s workshops, The Makers will once again offer UK bartenders an immersive and educational experience into the world of premium bourbon through a series of intimate, hands-on workshops aimed at providing practical crafts and skills which they can take back to use in their bars. This comes in light of an exponential boom in popularity of American whisky among UK drinkers as the Premium American whiskey category continues to grow in both volume +30% and value +22% respectively – the second fastest growing spirits category behind gin. Each uniquely designed to showcase the handcrafted credentials of Maker’s Mark, the experience will explore the fundamental elements that go into the creation of the liquid by delving into experiences based around wheat, wax, paper and wood. Bartenders interested in building on their knowledge of the bourbon category can sign up, here: www.jointhemakers.com. Starting in London, The Makers wheat workshop features artisan doughnut making at Bread Ahead lead by renowned baker, Manuel Monade, using the same Red Winter Wheat that gives Maker’s Mark its smooth characteristics and sweet flavour. The wax workshops will encourage bartenders to personalise wax candles, representing how every single bottle of Maker’s Mark is still hand-dipped in Maker’s signature red wax – an iconic design feature in which every drip is distinctively different. Partnering with London Print Club, bartenders will create bespoke cocktail mats as part of the paper session, signifying how every Maker’s Mark label continues to be printed and hand-pressed at the distillery. And finally, each bartender will be given training in how to expertly engrave bar tools as part of the wood workshop.